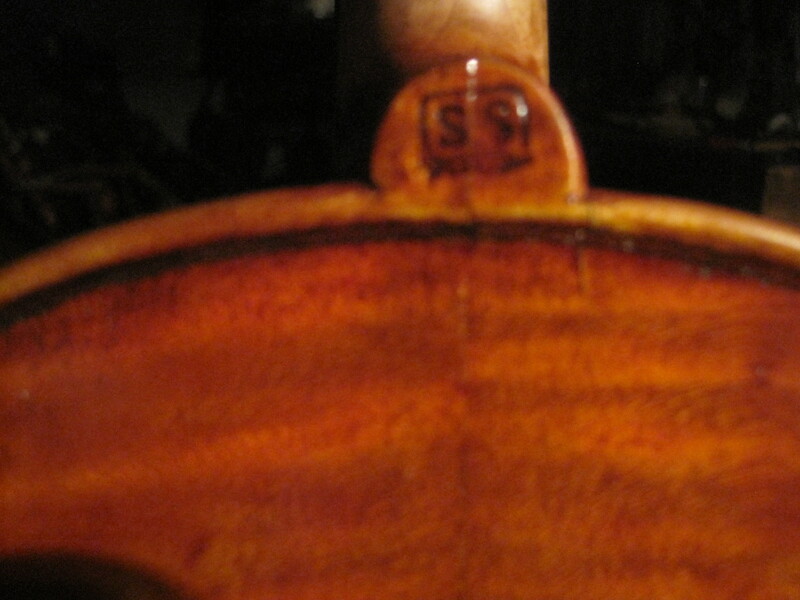 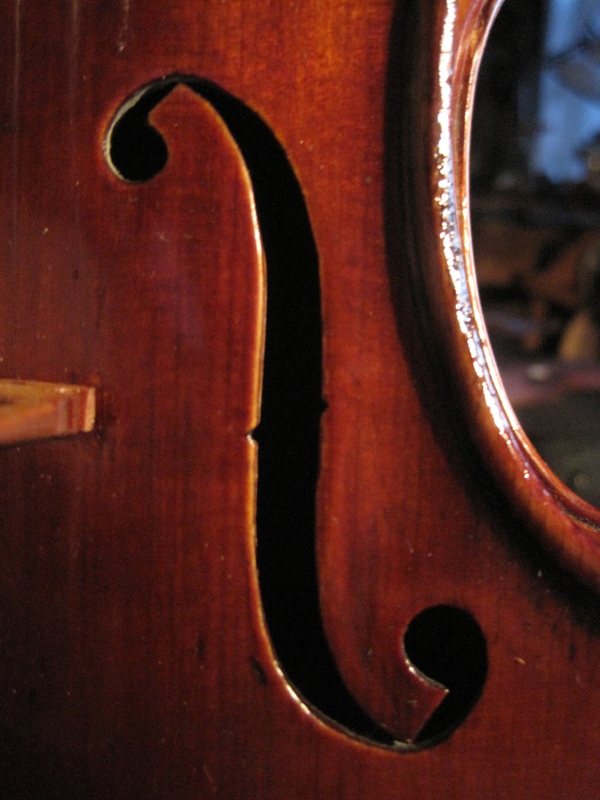 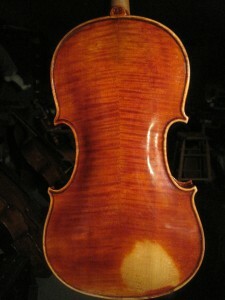 This violin performs in the Pittsburgh Symphony. Its owner had been increasingly frustrated by the sound and performance of it over the years and decided to give it to me to do all it needed to become all it can be. 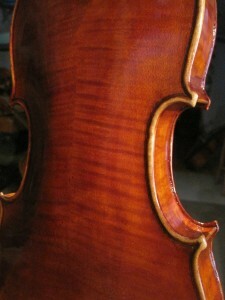 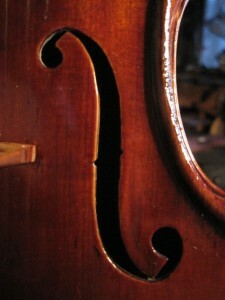 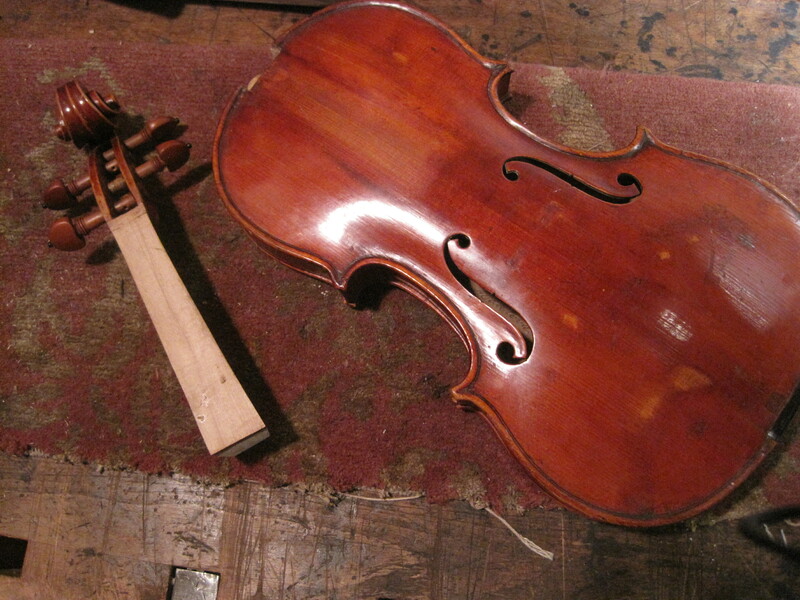 It needed a higher neck angle (and in this case a new fingerboard) to exert more tension down on the top – along with opening up the violin -replacing the bass bar and some subtle adjustments to the thicknesses of the plates. 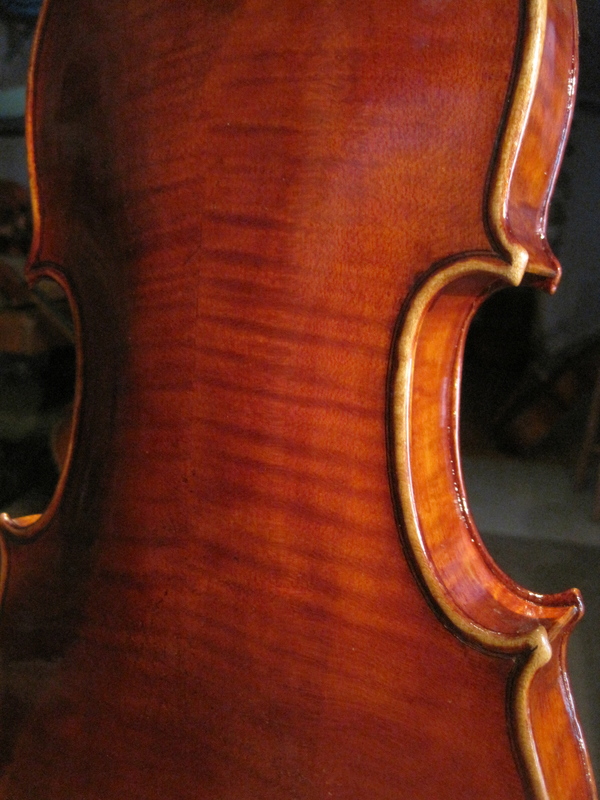 Its always a challenge to work on a great violin that has been played by a great player for a long time and make it bolder-bigger – and more resonant and deliver all you promise. It was exciting to be surrounded by such vibrant,exotic sounds pulsing at decibels even Beethoven couldn’t match!….all the while I worked steadily (and as rhythmically)I could. 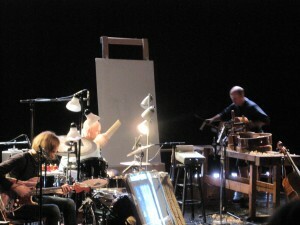 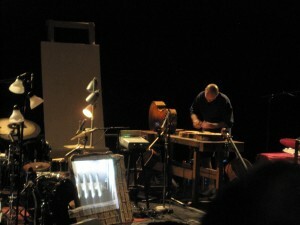 It was great fun to bring my work self out on a stage and I was really enjoying the stark contrast between my quiet,slow,timeless,precious way of working and the music that I serve – and the loud,pulsing,brash,in-the-moment, and oh-so-electronic way they went about their work.